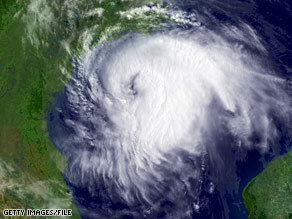 Today’s not only the first of the month or the start of the summer season meteorologically: It’s the first day of hurricane season 2009. On this day, forecasters often begin speculating about when the season’s first storm will form in the Atlantic. There’s no need to wonder about that this year, because there’s already been a tropical depression — before the official season even began. On Thursday, Tropical Depression One formed in the Atlantic about 310 miles south of Providence, Rhode Island, with not-too-fearsome maximum winds of 35 mph. The depression sustained its intensity Thursday as it sat over the warm waters of the Gulf Stream and faced relatively low wind shear. Tropical Depression One then drifted over cooler ocean waters and turned out to be merely a “fish storm,” one that remains at sea and poses no threat to land. But is this preseason storm an indication of a busy hurricane season to come The short answer is no, according to hurricane specialist Robbie Berg of the National Hurricane Center in Miami, Florida. “A flurry of activity in late May or early June is not a sign of what’s to come,” Berg said. He said he believes Tropical Depression One likely formed from an old frontal boundary that pushed east off the United States at a high latitude of 37.3 degrees north, not in the deep tropics. The World Meteorological Organization selects hurricane names. The names alternate between male and female and are derived from the languages that people speak in a particular part of the world. For the Atlantic, Caribbean Sea and Gulf of Mexico, the names come from English, French, Spanish and Dutch. The cycle of names repeats every six years, except for when a hurricane is extraordinarily costly or deadly. Then the name is “retired” and not used again.